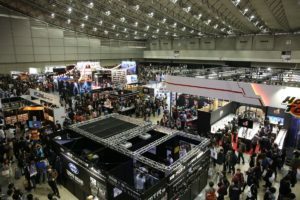 Comic fans gathered at Chiba’s Makuhari Messe from 30 November to 2 December 2018 for Tokyo Comic Convention! 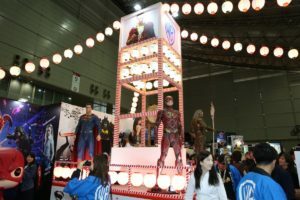 Tokyo Comic Con is based on a convention concept from America, which makes the content quite different from other Japanese conventions. 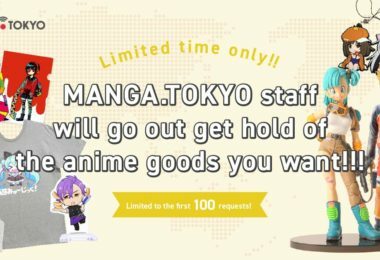 One of the unique characteristics is that a small artist can offer their items right next to a huge corporation booth. 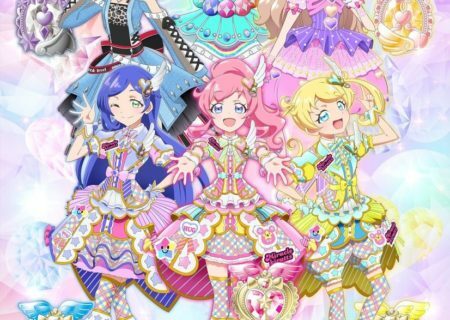 Since the venue wasn’t particularly big, private and official sellers had to scoot together. 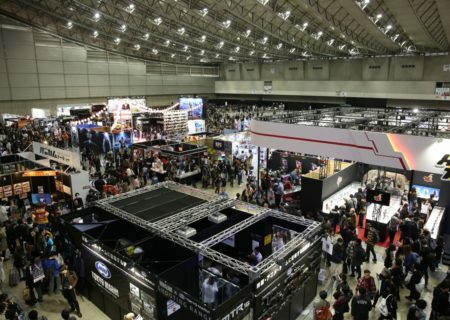 Compared to the stands at Comiket (Comic Market), which is the world’s largest convention for doujinshi sellers, Comic Con offered wider stalls and one could see the artists draw at the venue. 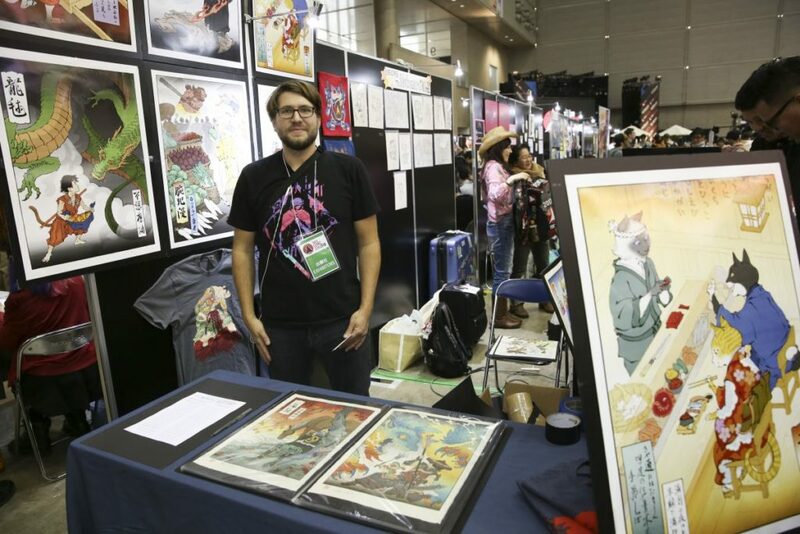 One of the stalls at Tokyo Comic Con was Jed Henry and his ukiyo-e art called Ukiyo-e Heroes. He makes authentic woodblock prints. 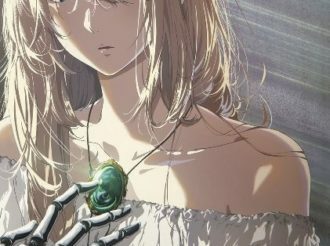 There were a total of 45 artists from within and outside of Japan who focus on fantasy style illustrations and were looking forward to meeting the visitors of the venue. 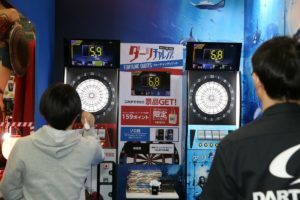 There were also many companies that exhibited unique things at their booth. 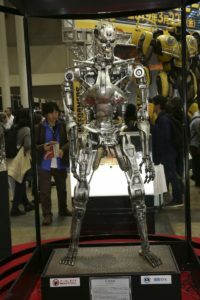 One that caught my eye was the Warner Brothers booth with their DC exhibition and a focus on Aquaman prior to the movie’s release in Japan. 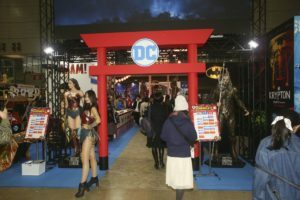 The booth had a torii (Japanese shrine gate) at their entrance because the convention is like a festival. In the center lanterns were hanging above the heads of the visitors. 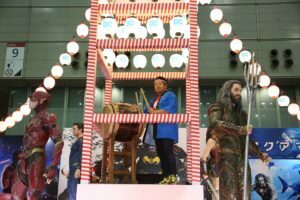 They even had some taiko (drums) at the booth! 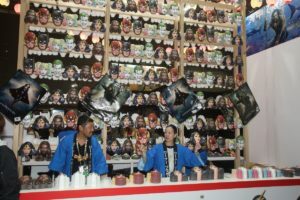 Around the booth, were little stalls like at a festival offering different things like masks or even a booth where one could play darts. 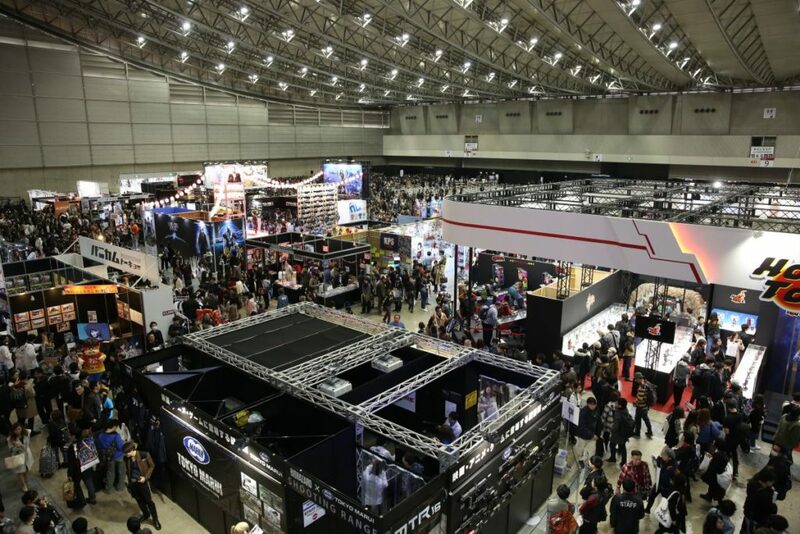 Rubie’s Japan, Sazac, Ogawa Studio and Cospa also had a booth and modeled them to look like they belonged to one big festival. 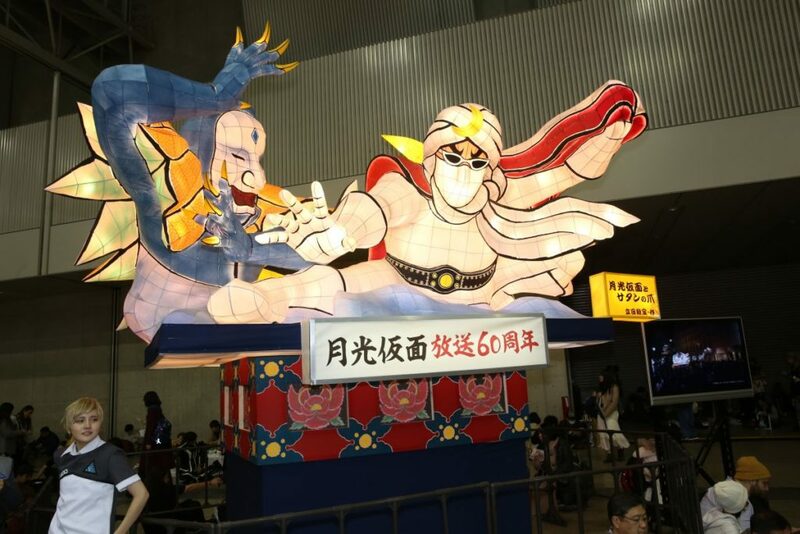 One exhibited piece was a big nebuta lantern of Moonlight Mask. A nebuta is well-known from a festival in Aomori. 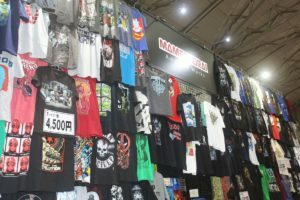 Mamegyorai had a booth where they displayed the T-shirts on a high wall. 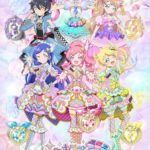 They produce figures and shirts with original designs. 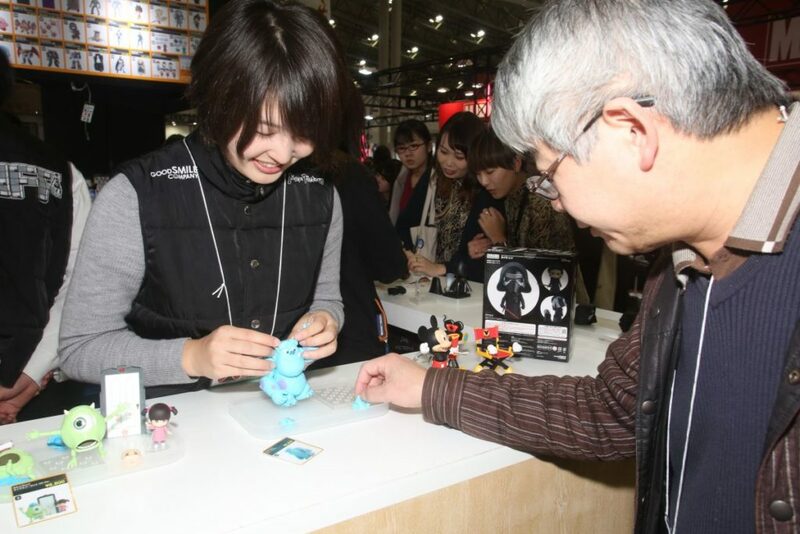 Good Smile Company also had their own booth and of course they had some of their Nendoroids with them, which visitors could play around with. 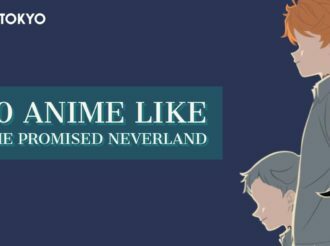 That’s something that visitors can’t really do at Japanese conventions. 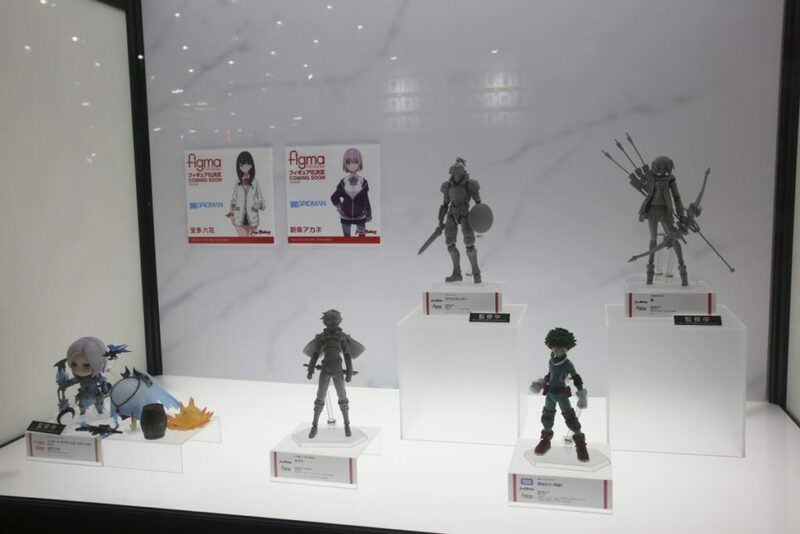 Of course they also had some new figma announcements at the booth. 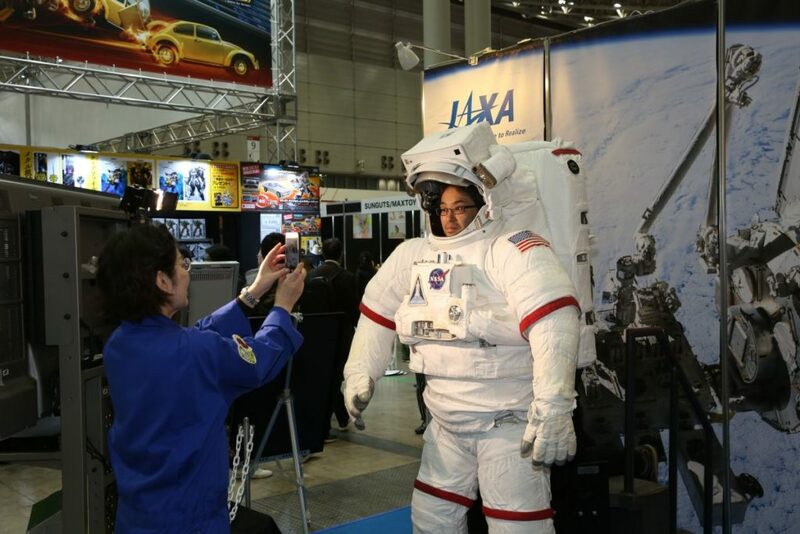 Even though it’s not really a company, JAXA also had a booth. 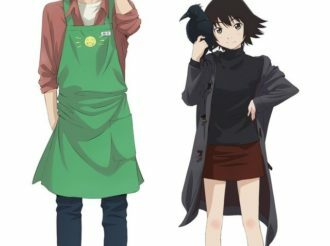 They co-operated in the production of many anime like Space Brothers. 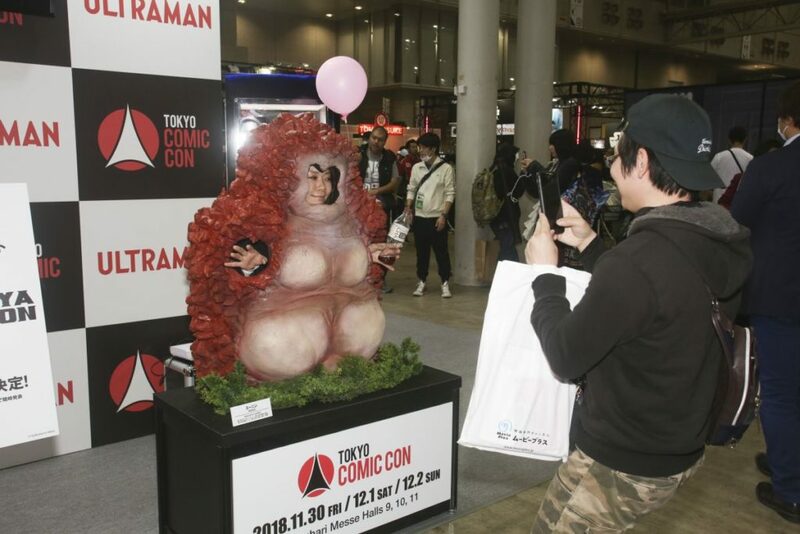 One of the popular spots of their booth was the panel where you could put your head through and take a picture wearing a space suit. 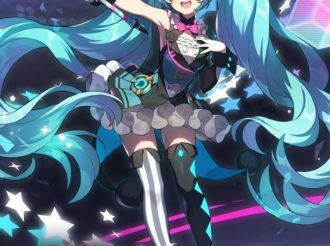 It’s not like you are actually wearing a space suit but it makes you look like you are! 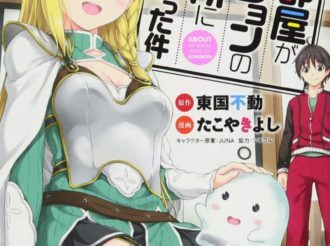 These kind of things have been popular at tourist spots in Japan for a while, but they have been getting more and more popular at conventions and exhibitions recently. 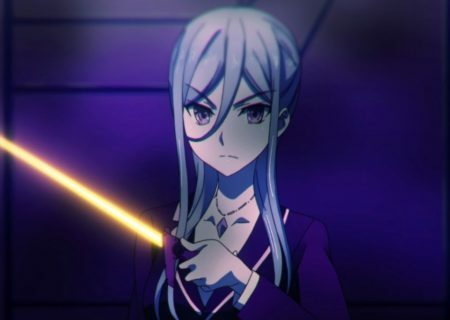 Another company with such a panel was Tsuburaya Productions. 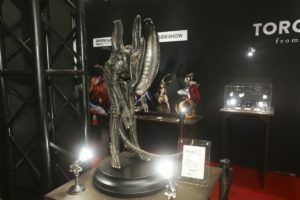 Their main series is Ultraman but they displayed a Mienin monster, where you could add not only your face but your hands too. 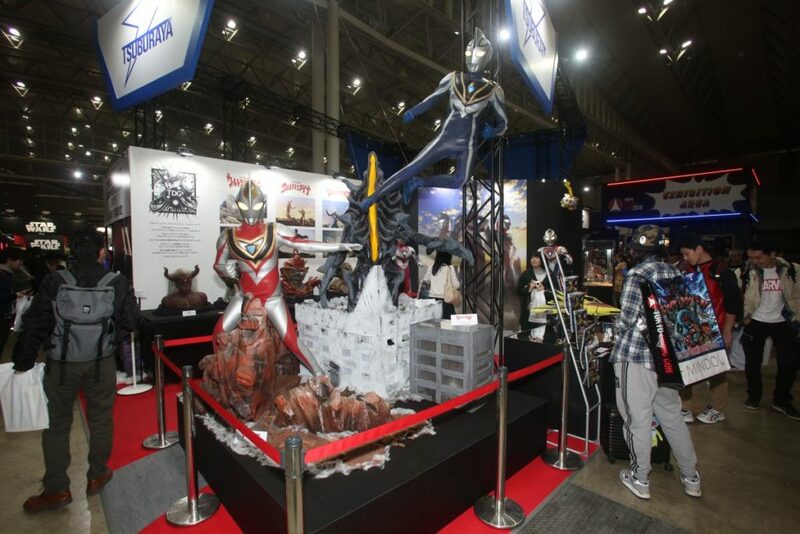 The diorama was also impressive. 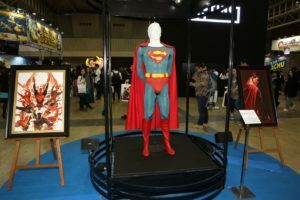 At the center of the venue you could also take a stroll through the exhibited models and costumes that were used during the production of different series. 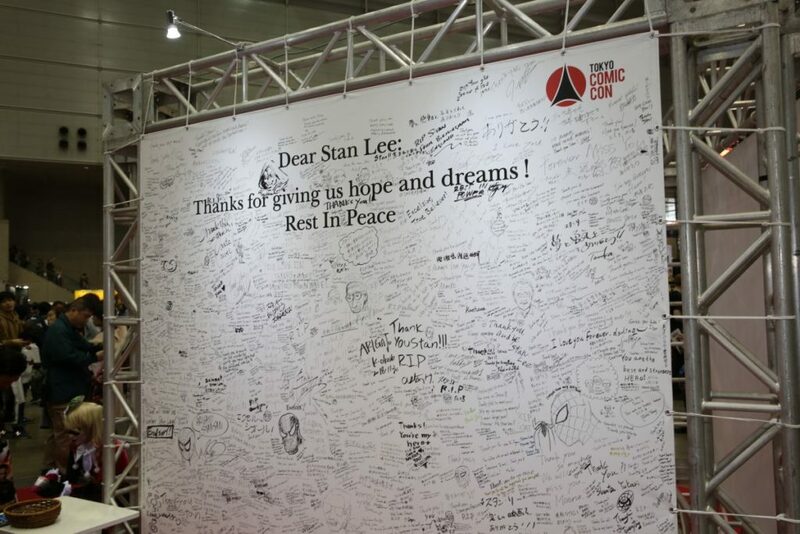 One part of the convention was also a memorial to Stan Lee, who is dubbed the father of American comics and who passed away a few days before the convention. 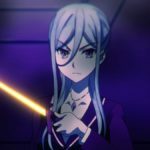 The memorial board was filled with comments from fans and featured all kinds of different languages like English and Japanese, showing how popular he was all around the world. 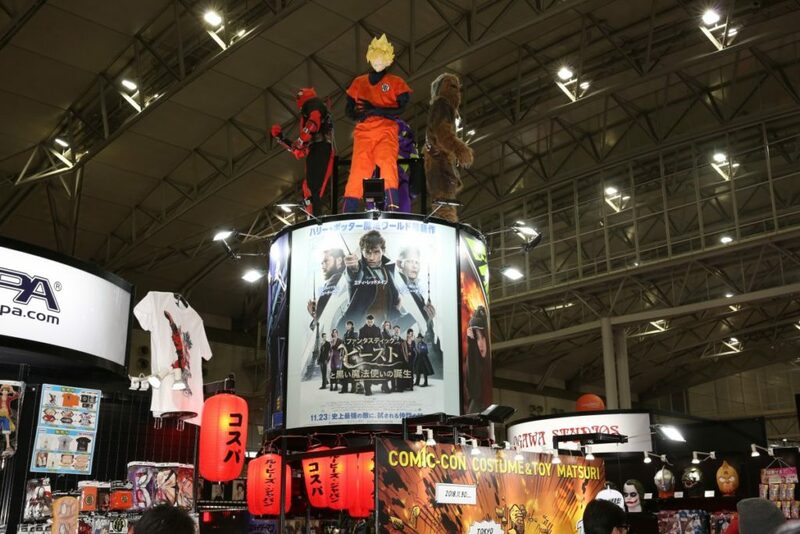 Tokyo Comic Con was visited by 60,000 fans. 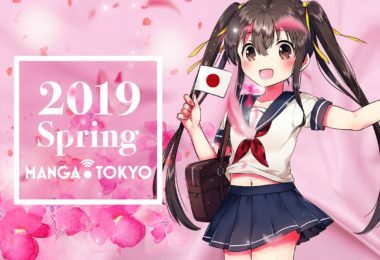 I am already looking forward to Tokyo Comic Con in 2019, which has already been announced!